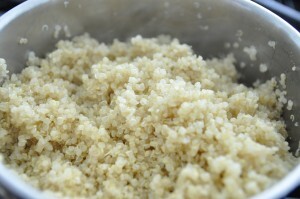 One of my favorite grains to eat is Quinoa. It is light, fluffy, and is easy to cook (plus, it’s gluten-free!). Quinoa is considered a pseudo-grain because it is more like a seed than a grain. It has a complete protein amino acid profile which makes it great for a post-workout meal. Quinoa tastes great in this Balsamic Infused Quinoa vegan recipe so let’s get started! 1. Preheat the oven to 475 degrees. 2. Put the Dijon mustard, balsamic vinegar, agave, and garlic in a blender with 1/3 cup of water. Blend it until it becomes a smooth consistency. This is the dressing. 3. Chop the bottoms off the asparagus since they are too tough to eat. Then cut the rest of the asparagus into 1 inch pieces. 4. Put the pieces in a bowl and mix them with 1/8 cup of the dressing. 5. 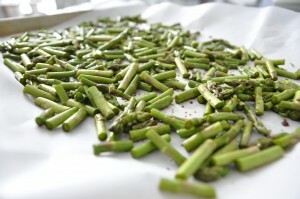 Line a baking sheet with parchment paper and put the asparagus on the baking sheet. 6. 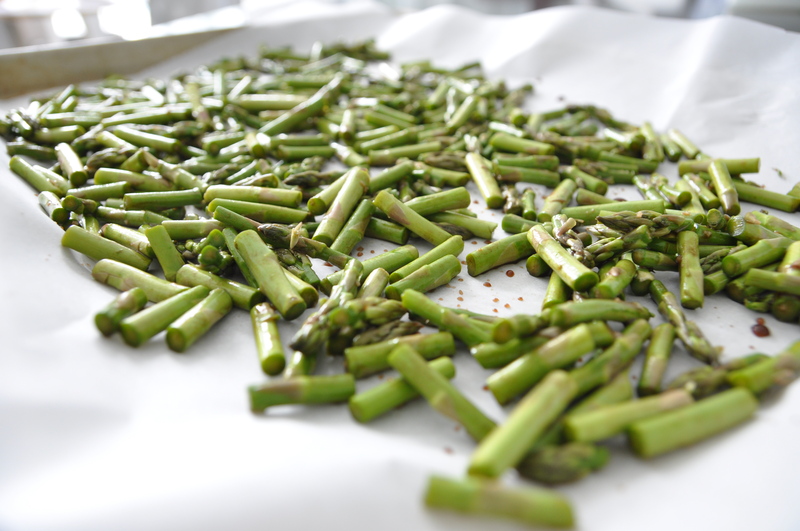 Bake the asparagus for around 15 minutes. 7. While the asparagus is in the oven, cook the quinoa. 8. To cook the quinoa, use a medium size pot. Add 1 ¾ cups of water to the pot, and bring it to a boil. 9. Add the quinoa, turn down to simmer, and cook covered for 10 to 15 minutes depending on how thick your asparagus are. 10. Once the Quinoa is done cooking, let it sit in the pot for 10 minutes. This lets the quinoa get fluffy. 11. When the asparagus is done baking, let them sit for 5 minutes. 12. 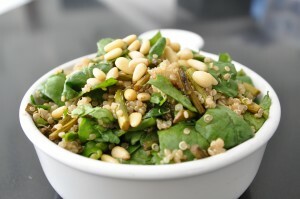 In a bowl, add the quinoa, spinach, asparagus, and ½ of the dressing. Salt and pepper to taste. 13. Garnish with pine nuts. 14. You will have some dressing left over that can be served on the side if anyone wants extra. Enjoy this recipe with a nice side salad, and you can use the extra balsamic dressing if you have any left over. 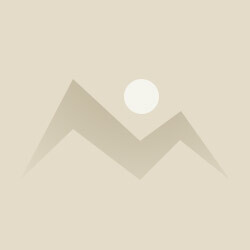 Love this image? 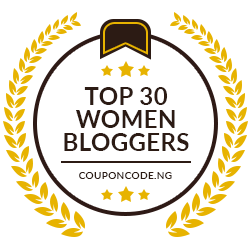 Pin it by hovering over it and clicking the “Pin It” button. Hi Sherry, thank you for the correction about the dressing! We fixed it. Great to hear that it was a hit. 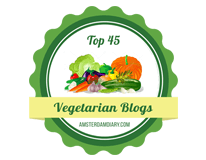 Keep checking back for more great recipes! Cook Quinoa the same as rice. Use as a pilaf under anything. Add ceookd quinoa to stirfrys, in soups, and sprinkle on salads. As a stand alone meal, finely chop all your fave veggies, seeds, etc. into a sauce pan to heat/cook ( I add my veggies raw for extra nutrition and fibre), then add the ceookd quinoa and some fresh herbs like basil, cilantro, watercress, dill, etc. Unlimited uses!